'Medicare, Medicaid and Social Security now account for 44% of total federal spending and are steadily rising. Previous Congresses (and Administrations) have relied on the assumption that we can grow our way out of this onerous debt burden. Unless entitlements are substantially reformed, the U.S. will likely default on its debt; not in conventional ways, but via inflation, currency devaluation and low to negative real interest rates. 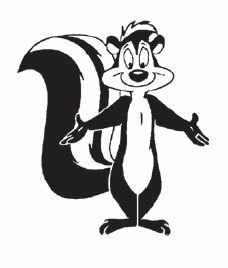 That adorable skunk, Pepé Le Pew, is one of my wife Sue’s favorite cartoon characters. There’s something affable, even romantic about him as he seeks to woo his female companions with a French accent and promises of a skunk bungalow and bedrooms full of little Pepés in future years. It’s easy to love a skunk – but only on the silver screen, and if in real life – at a considerable distance. I think of Congress that way. Every two or six years, they dress up in full makeup, pretending to be the change, vowing to correct what hasn’t been corrected, promising discipline as opposed to profligate overspending and undertaxation, and striving to balance the budget when all others have failed. Oooh Pepé – Mon Chéri! But don’t believe them – hold your nose instead! Oh, I kid the Congress. Perhaps they don’t have black and white stripes with bushy tails. Perhaps there’s just a stink bomb that the Congressional sergeant-at-arms sets off every time they convene and the gavel falls to signify the beginning of the “people’s business.” Perhaps. But, in all cases, citizens of America – hold your noses. You ain’t smelled nothin’ yet. I speak, of course, to the budget deficit and Washington’s inability to recognize the intractable: 75% of the budget is non-discretionary and entitlement based. Without attacking entitlements – Medicare, Medicaid and Social Security – we are smelling $1 trillion deficits as far as the nose can sniff. Once dominated by defense spending, these three categories now account for 44% of total Federal spending and are steadily rising. As Chart 1 points out, after defense and interest payments on the national debt are excluded, remaining discretionary expenses for education, infrastructure, agriculture and housing constitute at most 25% of the 2011 fiscal year federal spending budget of $4 trillion. You could eliminate it all and still wind up with a deficit of nearly $700 billion! So come on you stinkers; enough of the Pepé Le Pew romance and promises. Entitlement spending is where the money is and you need to reform it. Even then, the situation is almost beyond repair. Check out the Treasury’s and Health and Human Services’ own data for the net present value of entitlement liabilities shown in Chart 2. And while some Honorable Congressional Le Pews would counter that Medicaid is appropriated annually and therefore requires no discounted reserve, those words would surely count as “sweet nothings,” believable only to those whom they romance every several years at the polls. The incredible reality is that the $9.1 trillion federal debt that constitutes the next-to-tiniest ball in our chart is nothing compared to unfunded Medicaid and Medicare. It is like comparing Pluto to Saturn and Jupiter. The former (the $9.1 trillion current Treasury debt) does not even merit planetary status in our solar system of discounted future liabilities. It’s really just a large asteroid. Look at it another way and our dire situation becomes equally revealing. Suppose that the $65 trillion of entitlement liabilities were fully funded in a “lockbox,” much like Social Security is falsely imagined to be. Just suppose. And say the cost of that funding (Treasury debt) was the same CPI + 1% that was used to produce the above discounted present value in the first place. Actually, that’s not a bad guesstimate for the average yield of all Treasury debt. If so, then the interest expense on the $75 trillion total debt would equal $2.6 trillion, quite close to the current level of entitlement spending for Social Security, Medicare and Medicaid. What do we pay now in interest? About $250 billion. Our annual “lockbox” tab would rise by $2.35 trillion and our deficit would be close to 15% of GDP! The simple conclusion would be this: Unless you want to drastically reduce entitlement spending or heaven forbid raise taxes, then Pepé, you’ve got a stinker of a problem. Previous Congresses (and Administrations) have relied on the assumption that we can grow our way out of this onerous debt burden. Perhaps we could, if it was only $9.1 trillion, as shown in Chart 2. That would be 65% of GDP and well within reasonable ranges for sovereign debt burdens. But that is not the reality. As others, such as Pete Peterson of the Blackstone Group and Mary Meeker, have shown much better and for far longer than I, the true but unrecorded debt of the U.S. Treasury is not $9.1 trillion or even $11-12 trillion when Agency and Student Loan liabilities are thrown in, but $65 trillion more! This country appears to have an off-balance-sheet, unrecorded debt burden of close to 500% of GDP! We are out-Greeking the Greeks, dear reader. However approximate and subjective that number is, no lender would lend to such a corporation. stealthily via policy rates and Treasury yields far below historical levels – paying savers less on their money and hoping they won’t complain. “I sit before you as a representative of a $1.2 trillion money manager, historically bond oriented, that has been selling Treasuries because they have little value within the context of a $75 trillion total debt burden. Unless entitlements are substantially reformed, I am confident that this country will default on its debt; not in conventional ways, but by picking the pocket of savers via a combination of less observable, yet historically verifiable policies – inflation, currency devaluation and low to negative real interest rates. Our clients, who represent unions, cities, U.S. and global pension funds, foundations, as well as Main Street citizens, do not want to be shortchanged or have their pockets picked. Recent reports trumpeted the news that President Obama’s approval ratings have fallen to 'only' 42% of the people approving of his performance in office. 50% of them say they 'disapprove' of his work so far. With unemployment still in double-digits, millions of Americans out of work with many of them having zero chance of returning to their previous professions such as in residential or commercial real estate development anytime soon, gas prices rising to $4.00/gallon and beyond in many places around the country and now a third war front opened up in Libya, it is a wonder his approval ratings are still above 40% to be honest about it. But Obama is still way ahead of previous lows set by every other President in recent memory. W got as low as 25% in October, 2008; Clinton hit a low of 37% in 1993; Bush 41 was at 29% in the summer of his re-election campaign in 1992 (bad time to hit a bad patch); even the now-revered Ronald Reagan hit rock bottom at 35% in 1983. Carter hit 28% at one time. Nixon in the midst of Watergate flat-lined at 24% before he resigned. And the all-time bottom-feeder was Harry S Truman in 1952 at 22%. Thomas Jefferson and James Madison both left office at the end of their two terms in office with the public almost cheering to see them leave the White House. Mister Jefferson and Mister Madison! Fathers of Our Nation! Imagine that! What is it about US Presidents that make people not like them once in office? But here is the deal: Even with President Obama hitting ‘new lows’ in his approval ratings, he probably will win re-election in 2012. In fact, if you want to actually make some money in this desultory economy, put some money down in Vegas and there is probably more than a 75% chance you could at least double your money as of Election Day, November, 2012. Two words to remember: ‘History’ and ‘Inertia’. Both are very important in American elective politics. And both are very difficult to overturn when all things are considered and come down to a vote count total on a single day every 4 years. Answer- 18. Almost 50% for those of you who are counting at home. Now some of these presidents, such as LBJ, ascended into the Office of President upon the death of their predecessor. So technically, they were not ‘re-elected’ to a second term but merely ‘elected to serve a second full term’. Still, they got ‘elected’ once in office. That is the power of 'inertia', otherwise known as 'incumbency'. It is very difficult to dislodge any incumbent in any elective office anywhere in the nation simply because they are 'familiar' to the voting public and they can communicate to their constituents relentlessly while in office. How many POTUSes have not been re-elected to a second term since 1980, the time when most of the adults now living have been paying taxes and wondering when American politics was going ‘to be straightened out’ finally? George Herbert Walker Bush 41 lost in a 3-way race in 1992 to William Jefferson Clinton who did not win a plurality of votes either since Ross Perot garnered 18% of the popular vote, mostly at the expense of Bush 41. But Reagan served 2 terms; Clinton served 2 terms and W served 2 terms. That is a .750 batting average for those of you scoring at home. Just that plain fact alone means Obama might have as high as a 75% chance of winning re-election in 2012 regardless of who he runs against. It may seem like right now President Barack Obama is not ‘popular’ with the American people. You know what would make him wildly ‘popular’ once again? The unemployment rate falling below 5% and economic growth hitting 5-6% per year from now through 2012. Presidents get the benefit of great economies and win. And, rightly or wrongly, they get the brunt of bad economies, and they usually lose as a result. So those are the key metrics to follow from here on until the 2012 elections are over: the unemployment rate; economic growth rate; Obama’s approval ratings and his ‘hard’ re-election number. If he is under 40% in either approval or re-elect come November, 2012, and the unemployment rate is still in double-digits, then we may have a new President for 2013. But you have to beat an incumbent with a strong challenger, even in a bad economy, so who would that might be from the Republican side nowadays anyways? 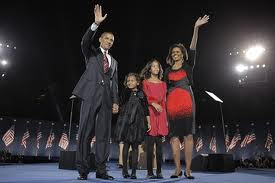 If President Obama stays above 40% in approval and re-elect numbers, and the unemployment rate is around 8% and heading downward, we might see President and Mrs. Obama send their daughters off to a high school prom around about 2016 or so near the end of his second term as President of the United States of America. Gotta admit, it would have to be pretty cool to have an after-party at the White House, wouldn't it? We love a good oxymoron just like anyone else. Add ‘government unions’ to the long list of seemingly incomprehensible oxymorons like ‘thoughtful conservative’; ‘conservative democrat’ and ‘honest politician’. 'Oxymoron' comes from the Greek (natch!) words 'oxus' meaning 'sharp' and 'moros' meaning 'dull'. What the heck? 'Sharp-Dull'? How did we get from there to what it means today? 'Oxy-moron' sounds more like 'pimple medicine for the dimwitted' to be honest about it. But it simply means two phrases that don't belong together, such as 'sharp/dull'...and the users of which are oblivious to the inherent contradictions in meanings and terms. ‘Government’ already connotes the sense of some governing ‘union’ over our daily lives, doesn’t it? ‘Unions’ are defined as groups of people who unite to get better deals (i.e. more money and more benefits) for their members at the expense of other parties, aren't they? Do we really want government service sector ‘unions’ inside of our ‘National Union’ dictating to us what they want 'us' to do for 'them'? Isn’t it supposed to be ‘us’ telling ‘them’ what we want them to do for us as our ‘public servants’? Isn’t the notion of government unions sort of a dangerous concept when you drill down on it? FDR wrote extensively about the implicit contradiction of ‘unions’ working as 'public servants' in the federal government. They are inherently incompatible concepts. And he was a big government guy, wasn’t he? Let’s think back on what Thomas Jefferson or James Madison might have thought about a concentration of power in an entity such as the government unions represented by the SEIU right now that you see fighting so vociferously in Madison, Wisconsin. Jefferson was adamantly opposed to a ‘concentration of power’ in any form of government and in any division of labor, be it the legislative, executive or judicial branches of government. Close to half of our very own Declaration of Independence is dedicated to a recitation of the grievances against the ‘concentration of power’ in the hands of King George which allowed him to have dominion over the free expression of rights and liberties of the colonists in America. Was Mr. Madison watching a Time Tunnel CNN back in his day? We are of the very strong opinion that it is an honor to be a public servant, whether it is as an elected official, congressional staffer or in the military or as a public employee working to support the people of this nation through government service ranging from computer science to research to being a great teacher. The fact that public servants get paid regularly 99.999999% of the time without interruption or fail is the trade-off they (we) make instead of trying to get wealthy in the private sector. I worked in the public sector for 12 years and never once worried about not getting a full paycheck on time or my benefits covered during 3 recessions. You don't get that sort of security in the private sector....look around and see millions of private sector people unemployed and losing their homes. The psychic, moral and goodwill benefits of helping your fellow citizens usually out-weighs the differential in pay and benefits for most public servants. Or at least it should. If government employees can join together and ‘demand’ higher pay and benefits and threaten to shut down our government by ‘sickouts’, which are just another form of strikes, isn’t that a dangerous usurpation of authority from the people who pay for government through their taxes paid each year? We thought the supreme power in our representative democracy was supposed to be ‘the people’ of this land which we guess has to include as a high priority the providers of the funds (taxes) to be used to pay for government services (and government jobs) in the first place. Having ‘government unions’ dictate the terms of their employment seems to be a case of ‘the tail wagging the dog’ to be honest about it. We think the concept of a concentration of power in so-called ‘government unions’ is an oxymoron the Founders would have taken great pains to avoid…if they had had the ability to conceive of them back then. We can't have a civil government that dictates to us, the people, or else we will cease having a free representative democracy. Jefferson and Madison saw that clear as day 235 years ago. There are plenty of questions we now have about the jurisprudence part of our civil government ranging from the cost of it; the efficiency of it to the very notion of whether a ‘trial by a jury of your peers’ has turned out like the Founders envisioned. It turns out that the term 'jury by your peers' is not in the Constitution. The only thing we can find in the Constitution relating to the tedious process of juries is the 6th Amendment right to a ‘speedy trial’ in the state in which the alleged crime was committed and to be judged by an ‘impartial’ jury. ‘A jury of your peers’ sounds more like being judged by people of the same race, social status or economic well-or-not-so-well-being. Perhaps the more we all start sounding and acting like we are all ‘Americans’ first and not some hyphenated subdivision separated by race, gender or sexual preference, the sooner we will truly be able to have an impartial ‘jury of our peers’, our fellow Americans. We have no problem with being called to serve on a jury. It is part of being a free citizen in the greatest free nation ever concocted on the Face of This Earth. But can we bring the process a little more into the 21st Century for goodness sakes? This might have been the most colossal waste of time, effort and money since Geraldo Rivera opened Al Capone’s vault in 1986…and found nothing but dust in it. 326 people were basically ‘summoned’ to appear at 8:00 am Monday morning to assemble in the jury selection room where we were all briefed on what would happen during the day. Depending on the number of trials going on in the courthouse, all of the 326 people could have been asked to sit on a jury and go through the weeding process leading up to actually listening to a court case for 3-5 days or so. 24 people got selected to one courtroom at 10:30 am.....and the rest of us sat and sat and sat like we are on some transcontinental flight to Vietnam where most people watched 2 movies and ate popcorn and turned the volume up to 50 so the others could barely hear themselves think. So it winds up that 302 people were there for no reason at all, all day long, away from their jobs...and got paid $12/day (wow) plus parking is validated for probably $12/day. 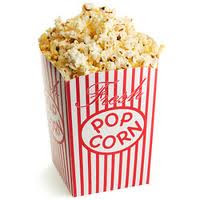 Let’s say the average cost to the county was $30/day counting staff time and popcorn for the 302 non-essential jurors not used. That is $9060 right there of totally wasted paid property tax dollars poured down the drain in one day! This could be happening 4 times per month at just this one courthouse on each successive Monday. That amounts to $36,000/month. Times 12 months = $432,000 PER YEAR of taxpayer dollars to pay people to sit all day long waiting for some judges and lawyers to make up their minds as to whether they are going to: 1) go to trial in the first place; 2) need a jury and 3) or ask for a postponement so they can do it all again the next week! These are the accumulated costs just for wasted parking validations and per diem for unused jurors to sit around all day watching movies and eating popcorn! Here’s a suggestion: Why not use the technology available in 21st century America to make this a more efficient process and save the taxpayer some money from rampant property tax revaluations every 6 years or so? There was not one person in that room who did not have a cell phone, Blackberry or an IPhone with 3G connectivity. Because we heard and saw every single one of them talking on their phone, sometimes very loudly, during the day to someone at home, work or at play. Why not have the lawyers and the judges get together on Friday afternoon and make a hard decision as to who wants a jury the next week; count up how many people need to be notified they may be called beginning Monday at 8:00 am…..and then let that number of people ‘be on call’ to come in when the jury selection actually starts, you know, sort of exactly like a doctor on call. If they need you, they will text you and tell you to be at the Courthouse by noon that day. You will have been previously notified you will be ‘on call’ that Monday and will have had time to make arrangements at work and at home in case you are called for duty. Otherwise, you don’t have to come to the Courthouse to sit around all day watching movies and eating popcorn! You can actually stay at work and make some money to support your family. And the taxpayer won’t have to pay at least $30/day at a very minimum for you to come to the Courthouse and sit around all day and watch movies and eat popcorn! How much more clear can it be? This is small potatoes in the grand scope of massive government spending but if we can save $432,000 per year at just one municipal courthouse, imagine the billions we could collectively save and not have to raise higher property and income taxes on every single taxpayer across the entire nation. The only ones ‘hurt’ will be the popcorn makers! And the DVD vendors…but who is going to watch a movie on DVD in about 5 years anyway? Use 21st Century Technology to save some money at the County Courthouse. It is the only logical thing to do. 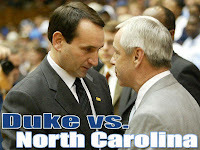 I Hope The ‘Hemi’versity of (Name Home State) Beats The Hell Out Of (My Hated Rival) ‘Hemi’versity Today! From the truth in advertising divisions of the Federal Trade Commission and the Department of Education, consider this possible headline above. Aren’t most universities today only teaching ‘half’ (hemi-) of the available knowledge out there from human history? Isn’t the goal of a true ‘uni’(all)versity to convey knowledge from all points of view to give a student a well-rounded understanding of the complex world around them? Truthfully, can any institute of higher education in America today honestly say that they are ‘unbiased’ in any way, shape or fashion and they encourage the full consideration of the entire range of human thought from the liberal end of the political spectrum to the conservative end? We have been struck for many years over the ‘uncivil discourse’ that has dominated America politics for the past 30 years, the past 20 being really bad and the past 10, well, ridiculously destructive and idiotic. We think it has something to do with the idealism of the now-aging Boomers and will abate once they start leaving the national stage, to put it delicately, which we will return to later. We were invited to speak at a panel at a ‘hemi’versity recently and were struck by the stark admission that college campuses nowadays have next to zero intent or interest in being anything other than a ‘liberal’ place where only ‘liberal’ thoughts and observations are considered ‘appropriate’ and ‘acceptable’. At least some of the people we spoke with were willing to admit it. It used to be that college presidents and administrators ‘denied such a thing ever occurred on our campus!’, especially those state taxpayer-supported ‘hemi’versities where most of the taxes and large donations come from wealthy conservative businesspeople. We think college campuses have a role to play in restoring comity (not ‘comedy’) and civility to the public discourse and debate. And it will be once again by becoming a place of ‘universal’ thought and discussion where people can learn to agree to disagree in an agreeable manner, mainly by opening discussion of the full range of views out there. Our contention is that unless people of different persuasions talk to each other on a regular basis, no progress or compromises are ever going to be made in the public arena. Why? Because if you 'hate' another person for their ‘extreme’ views but have never met them in person, it is next to impossible to ever come to some common solution…on anything. Ever see a married couple try to reconcile their differences? They can’t do it without talking to each other, many times with a counselor in between. A true ‘uni’versity could be such a ‘healing counselor’ for a nation torn apart by decades of debate and hate-filled speech on abortion, race relations, gay rights, property rights, illegal immigrants, unemployment, Iraq, the CIA and global warming. And we need to come together and solve some very large problems like the budget deficit, Social Security, Medicare and tax policy right now, like tomorrow morning before it is truly ‘too late’ to solve them. Here’s the really odd thing to us: Much of today’s thought that is considered to be ‘conservative’ actually has its roots in the ‘classical liberal’ thinking of the 17th and 18th century in Europe where freedom of the individual and liberty in all human activity began to take root after eons of chieftain and monarchial rule. If a classical liberal free-range thinker such as David Ricardo or Adam Smith applied today to teach at a ‘Hemi’versity of (name your state)’, would they be considered a ‘crazy right-wing free-market supply-sider whackjob’ or would they be given tenure right there on the spot? Neil used to come by the congressional office to discuss his theories of how generations actually have distinctive characteristics as a whole such as ‘idealistic’, ‘practical’ or ‘silent’. Guess what the Boomers of the ‘free love’, ‘more drugs’, ‘Make Love, Not War’ generation of the ‘60s are? You got it…’idealistic’….just like the Transcendentalists of the pre-Civil War era who wanted to end slavery. And guess what characteristic trait is both admirable and destructive to both generations at the same time? 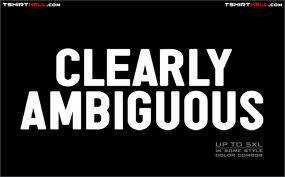 Their collective sense of ‘righteousness’….the conviction that ‘I am right!’ which means that ‘You are wrong!’. And that leads to stalemate and a digging-in of heels on opposite sides. Sound familiar, like for the past 10 years? ‘Hemi-versities’ becoming ‘uni’versities again can help restore the sense of balance and practical politics to the national stage, especially as the Boomers die off, (oops! sorry but is it going to happen) and the more practical and solution-oriented X’ers take their rightful place in American politics. We are actually more optimistic about the future because of this demographic change that is underway right now beneath your very nose. And ‘Go Hemi-Heels and Hemi-Devils!’ We are conflicted…gotta admit it. It is up to us to insure America's position as the world's acknowledged superpower, not anyone else. 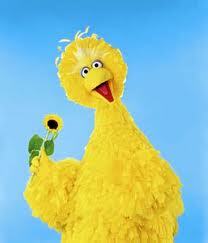 Who Should Get ‘Paid’ More: Big Bird or President Obama? Since we are getting down to the ‘nut-cuttin’ (don’t ask) of finally realizing we are spending way, way, way too much money on things that are not absolutely critically essential to the health, wealth and safety of the United States of America, what do you say we take a closer look at PBS, the Public Broadcasting System? PBS has undoubtedly brought us many things that have enriched America and helped educate our children back before there was cable television and video games. ‘Masterpiece Theatre’ and several of their excellent drama presentations are second to none. But when you think of PBS, what do you immediately think of? Yes, you are right. 'Big Bird' and 'Sesame Street'. What kid growing up after 1969 can’t remember Oscar the Grouch, The Count, Bert and Ernie, but especially Big Bird? What parent can’t remember plopping their infants in front of the television set to be amused for an hour or so while they cleaned up the house or maybe even took a short nap to catch up, perhaps? My sister sat next to a guy and a box on an airplane one time. When she asked what was in the box, Caroll Spinney started talking in his high 'Big Bird' voice and opened up the box to show her Big Bird's costume since he was 'the guy' inside of Big Bird from the beginning. Being a great first-grade teacher, Nancy was thrilled to meet 'them' both. Back when there were only 3 main networks, ABC, CBS and NBC, perhaps there was a pressing public need for higher-level, ‘educational’ television back then. But is that true today when you can get a satellite package of 5000 channels ranging from ‘educational’ television such as The Smithsonian Channel to The Discovery Channel, all paid for by subscription and ad revenue? We think the time has come to pull the plug on taxpayer-financed kiddie and educational television, sad as that might be. And instead of running their telethons to raise money for the PBS network, they will just have to start running ads like the 5000 other distributors of entertainment and informational content do every single day in America. Big Bird and Sesame Street are nice to have when things are running great in the economy and our budgets are in balance. Neither is true today. The President of the United States, Barack Obama, makes around $400,000 and has a free place to live with all expenses paid. Members of the Senate and House make around $174,000 per year, without any housing allowance. PBS pays President Paula Kerger $632,233 in annual compensation—as reported on the 990 tax forms all nonprofits are required to file. The Corporation for Public Broadcasting (CPB), pays President and CEO Patricia de Stacy Harrison $298,884 plus another $70,630 in other compensation from the organization and related organizations. But, they are both outdone by Kevin Klose, president emeritus of NPR, who received more than $1,200,000 in compensation, according to the tax forms the nonprofit filed in 2009. Sesame Workshop President and CEO Gary Knell received $956,513 in compensation in 2008. Seriously. Is having Big Bird and Sesame Street on the tube at taxpayer expense absolutely essential to the national security and fiscal well-being of this nation? And why are we paying what are essentially ‘public servants’ who run PBS 50% more, 100% more or triple the amount we are paying the President of the United States of America? That would be like in 1789 paying some editor of a newspaper supported with taxpayer funds triple what we paid George Washington to be President then. It is time to cashier Big Bird and Sesame Street from the stream of taxpayer dollars and wean them off the public dole. You will be surprised how fast both will be snapped up by other networks and close to $422 million per year in funding for PBS will be saved, finally, for the American taxpayer. 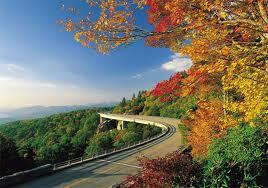 The Blue Ridge Parkway, North Carolina and Social Security---Priceless. Ever wonder how things get done in Washington? There is a fascinating new documentary out on PBS now, (better watch it before PBS funding is zeroed out forever) called ‘The Blue Ridge Parkway: The Long and Winding Road’ produced by Bruce Bowers. Through much research and interviewing, Mr. Bowers discovered that Social Security would not have passed Congress unless the Blue Ridge Parkway was built to connect the North Carolina Great Smoky Mountain National Park with the Shenandoah National Park. How in the world could that be? What possible reason here on earth could combine a parkway and a massive social safety net program of the United States government? The Blue Ridge Parkway was a WPA project designed to help get America out of the last Great Depression. (The one we are now in we prefer to refer to just as the ‘Great Recent Unpleasantness’) It was originally due to cut through the beautiful Shenandoahs of western Virginia and then veer off to the right and cut through the Tennessee side of the Great Smoky Mountains. But there was a big problem. North Carolina Congressman Robert Doughton was a conservative Southern Democrat who did not support or favor the massive expansion of government power and spending that FDR was selling. You might want to take a picture of the next true conservative Southern Democrat you see because they are a swiftly dying species not unlike the carrier pigeon or dodo bird. Congressman Doughton wasn’t powerful enough to oppose the onslaught of federal spending all by himself as a mere congressman. He just happened to also be the Chairman of the House Ways and Means Committee, the most powerful and feared committee in the US Congress. In fact, at the time, Chairman Doughton was the longest-running Chairman of Ways and Means in the American Republic’s short history. He may have been perhaps the most 'powerful' North Carolinian ever to serve in Congress solely because of his ability to influence and direct legislation from that powerful perch. FDR knew that he had to do something to garner Doughton’s support or else the key centerpiece of his New Deal legislation would never see the light of day in the House of Representatives. And FDR did not become president or later lead America into war against Hitler, Mussolini and Tojo by being a shy, retiring wallflower or potted plant. FDR figured out that to get Doughton's support, FDR had to somehow co-opt Doughton so he went to him and asked him what he wanted. Soon thereafter, Chairman Doughton changed his tune from criticizing the big government dreams and policies of FDR to highly praising Franklin Roosevelt for his leadership and did everything possible to insure that FDR’s treasured and crowning legislative achievement was passed in a matter of months. The people of the US from 1935-on got a social safety net that was originally designed to help people feed themselves and families for the next 6 years as America finally got out of the Great Depression by going to war against Germany, Japan and Italy. It was a supplemental income program and was never intended to be a complete retirement program for every American not yet even born at the time. We have no problems or quarrel with helping people who can not help themselves or who find themselves in an unfortunate economic system. But the Social Security system is now technically and fundamentally ‘broke’ because the current inflow of payroll tax revenue falls short of the benefits paid out each month. A huge cohort of Boomers are now entering retirement like an elephant being swallowed by a python with no real actual funded retirement system in place to pay for their retirement needs. The last time we checked, the unfunded net present value liability for Social Security was close to $16 trillion. That means that if our children and grandchildren paid $16 trillion more in taxes today, the program would be able to pay full benefits to all of their parents and grandparents ahead of them for the next 50 years or so. $16 Trillion. The entire economy of the US is ‘only’ $14 trillion. And it is the largest in the world by a factor of 3.5 over China. Oh, and yeah....Chairman Doughton also got a national park named after him in North Carolina just off the (what else?) ‘Blue Ridge Parkway’. And North Carolina got an absolutely beautiful drive through the Great Smokies….you should take it sometime if you haven’t lately. And at a $16 trillion net present value in terms of shortage of funds for Social Security, it is also ‘priceless’.